Type the words “pocket knife” into a Google search and you’ll be presented with hundreds of pages of images, articles and online shops. There is self-defense, multitool and every day carry. In this world saturated with endless varieties how do you know which one to pick? 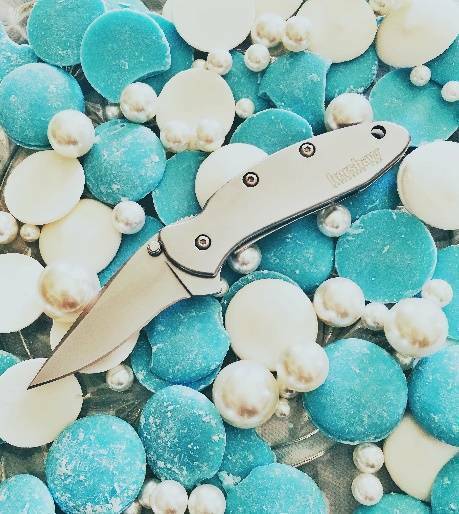 Jennifer from PocketKnifeHousewife.com – Who said pocket knives are only for men? While I do have a handful female friends who have a knife, they typically keep it in their purse, not in their pocket. Wearing even a basic pocket knife on your belt or in a pocket allows for easy access should you need it quickly in the case of self-defense. I can quickly cut tags off of kids’ toys or cut into a bag of snacks on the way to ball practice. 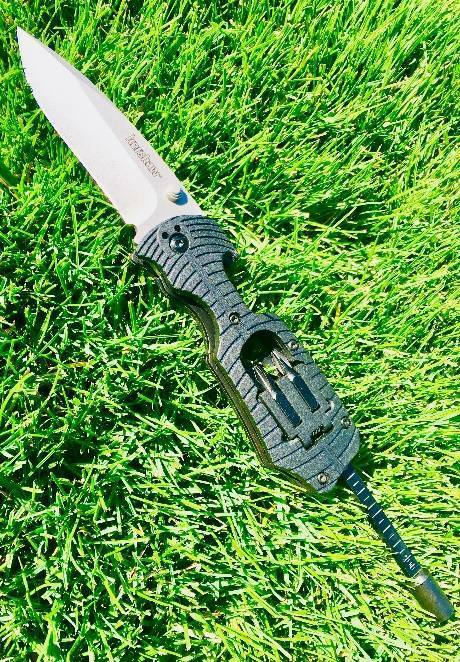 Carrying even a small pocket knife makes life’s little tasks that much easier. And, in a worst-case scenario, a swift action with an accessible pocket knife can be enough to distract an attacker; giving you a chance to run. Without turning this into a statement on feminism, I frequently find that knife shopping can be intimidating for a woman. I know I am quickly dismissed and sometimes even ignored by male employees behind the knife counter. 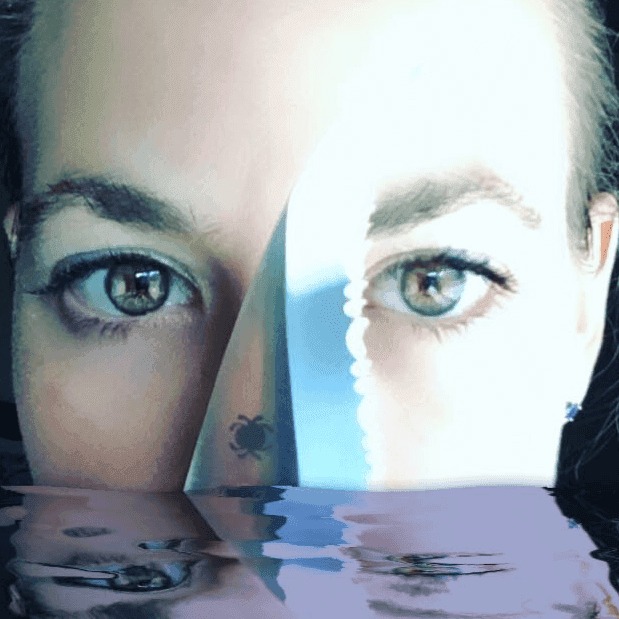 This dismissive attitude may be another reason many women avoid looking for a knife to purchase, which leads to fewer women carrying pocket knives. But, if I can do it, you can do it. The reward is greater than the intimidation and here’s some help from personal experience. Which handle is the best? Can a $30.00 knife be a great every day or should I spend $150.00? Is a knife a suitable gift? Those are the kinds of questions can be answered with a little guidance and education. I’ll try to shed some light on how I buy knives, but first let’s get the important stuff out of the way. It’s essential that you know your Knife Laws. Every state and country have their own set of knife laws; some states even have different laws depending on the county or city. In California, carrying a switch the blade longer than two inches or a dagger is illegal and can be punishable with three years jail time and a $10,000 fine. Just next door in Arizona the laws are much more lenient with few restrictions. The state of Georgia has no restrictions. Typically, if you find a knife with a blade that is two inches or less and it folds down like a pocket knife, you are safe. The more you know the better off you are, so do the research for your home town. Also, if you plan on traveling with your knife, check the laws for your final destination. Ultimately, buying a knife that your state considers illegal isn’t worth the money unless you plan on putting it away as a collector’s item. Do I need the knife? Is it made by a reputable company? Does it open cleanly and lock securely? Typically, I will pick out something that is four to six inches long when closed. I want it to be able to fit in smaller pants pockets but also be substantial for me to grip. If I find a knife bigger than normal and it doesn’t fit in my pockets, I will just clip it inside the waistband on the back of my pants. That way it’s concealed but still easily accessible. When I purchase for a gift, I have some slightly different criteria. I normally only buy for people I know because it’s very personal; it falls in line with buying a nice piece of jewelry. I have found in my family that there’s a certain personality to fit with each brand and blade. I consider the likes of the person I’m buying for and ask myself these questions; Will they carry it or just store it? How will they use it? Is it nice to hold and also look at? Is it a good size for them? With so many questions to answer you may want to know a few things about the anatomy of the pocket knife before moving on. Learning these details will help you to narrow down your search for yourself or a gift. It will also help you feel more comfortable at the store counter. There are three main criteria I consider a priority when picking something out. Those three in no particular order are: the blade, which includes the shape and the composition of the steel, the lock, and the material of the scales. After that it’s mainly about aesthetics. Let’s start with the blade, which is probably the most overwhelming part due to the fact that each company uses different kinds of steel. They also each have their own way of treating the steel to bring out and highlight different qualities, such as corrosion resistance, hardness and strength. Typically, the less expensive the knife, the more common the steel. This is a case of “you get what you pay for”. 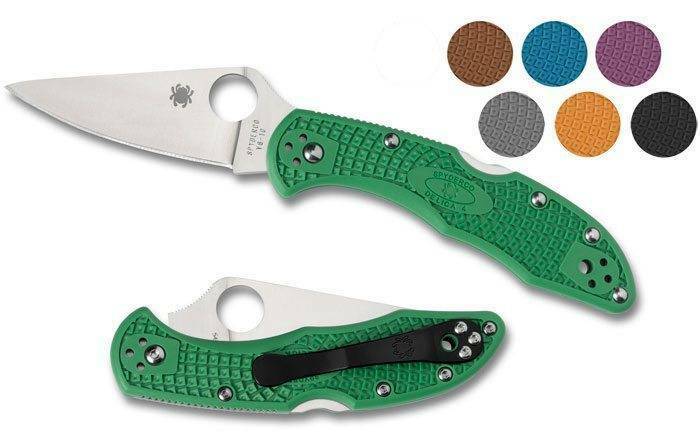 That being said, don’t pass up a $30.00 Byrd like the Meadowlark 2 because, you might find that it’s almost as nice as its counterpart, the $150.00 Spyderco Delica 4. These knives have similar materials, just less expensive Chinese made steel for the Meadowlark, verses Japanese steel for the Delica. Side by side, these two knives feel identical. After you’ve decided on the steel, you’ll want to decide on a shape. Finding the right blade shape for the tasks you will be using it for is easy to figure out. While there are more than a dozen different shapes to a blade, the two more common shapes are the clip point and the drop point. The clip point has a very sharp tip great for piercing but it is also a weak spot for the blade. It can break off easily. The drop point has a stronger point but not great at piercing. Both have a significant length to the edge for cutting. And then there’s the edge. You can have plain, serrated or a combination. I have owned knives that have one of each, but I like the combination the best. It gives me the ability to really cut anything and everything. Serration is great for tough cuts, but the plain is wonderful for opening packages. You can’t go wrong with any of these. Next, I look at the handle. The two pieces that come together to form the handle are called scales and there are dozens of options for these too. 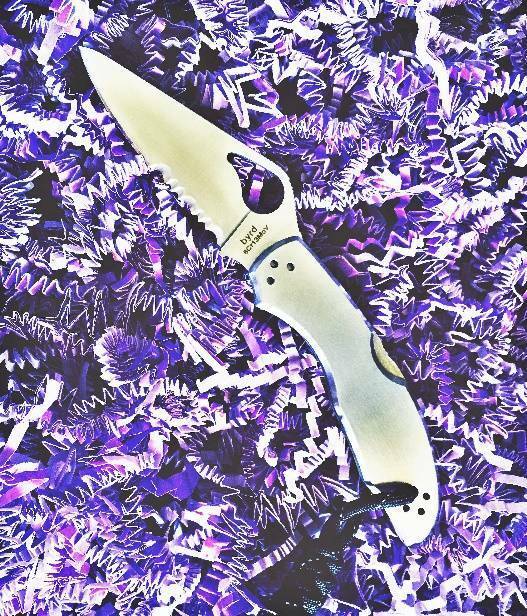 They can make the knife feel like a kid’s toy or a high end. You have the option to choose from an array of metals, natural/organic materials, synthetic and everything in between. It’s all about preference and aesthetics. Lastly, I look at the lock. Most knives have a lock of some sort whether it’s a compression lock, back lock, liner lock, etc. There are knives that don’t have a lock, most often slip joint is used to hold the blade open. In Denmark a pocket knife isn’t allowed to have a lock so the slip joint keeps the blade open securely enough to use without locking. Once you’ve moved past the technical aspects you need to pick a brand. A few that are my favorites are Spyderco (including a few of their Byrd line), Benchmade, Kershaw, Leatherman and CRKT. These names are also a little more mainstream so you won’t need to go out of your way to find what you’re looking for. Other brands that are also great are Hogue, Boker, Cold Steel and SOG. High-end, custom knives are great as well. Buying for yourself or as a gift, you can’t go wrong with these companies. Most have a great warranty policy should something, other than wear and tear, damage the knife. You can spend anywhere from $10.00 to $45,000.00 on a pocket knife. So, this is why it’s very important to think about what you want and why. For example, you could go out and buy a beautiful William Henry knife. They make some of the most intricate and beautiful knives I’ve seen. Most of those are made in small batches due to the time intensive design and start at several hundred dollars up to several thousand dollars. The William Henry Monarch Archetype was made in a batch of 250 and one will cost you around $1700.00; you definitely get what you pay for. 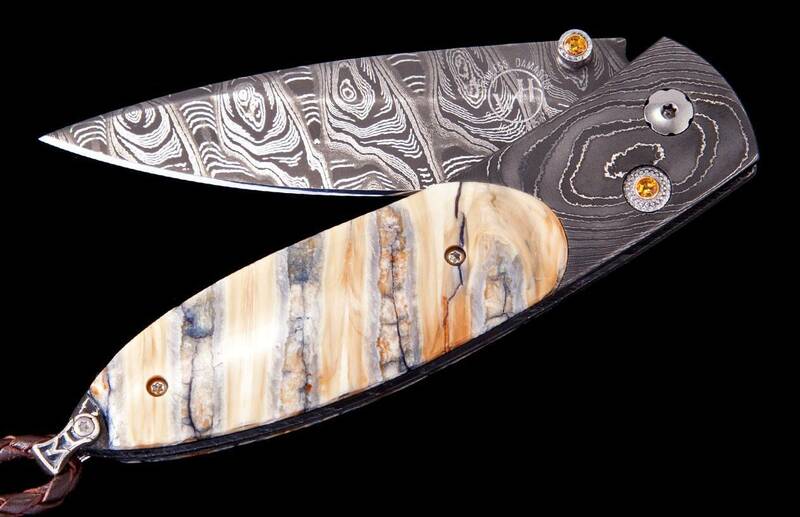 The handle scales consist of 10,000-year-old Woolly Mammoth tooth inlaid with hand-forged Damascus steel. There are citrine gem stones set in the thumb stud and button lock for added elegance. This, to me, is more of a show piece. It would be a special standout gift for just the right occasion or something to add to an exotic collection. 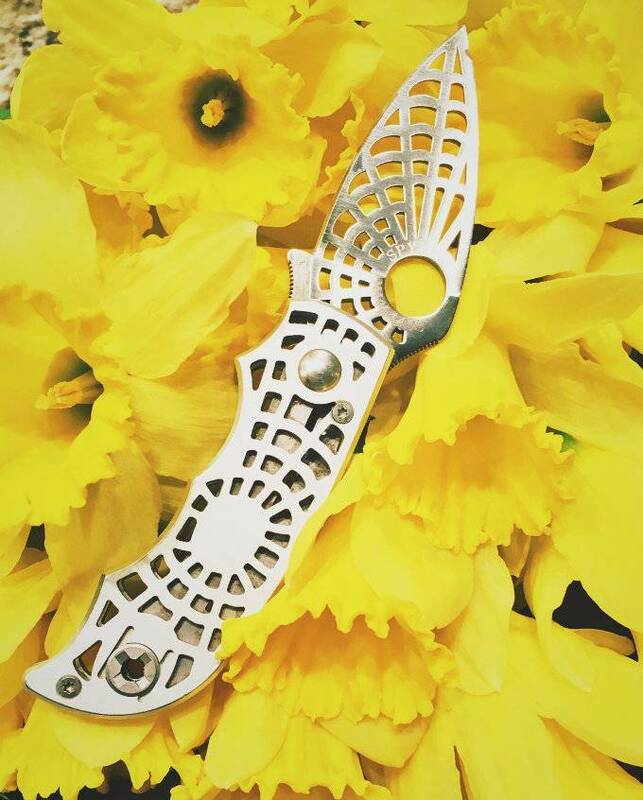 By all means, if this knife looks like something you’d carry on a daily basis then go get it. Everyone would be jealous of this beauty. Many of the everyday brands that I listed like Spyderco, Benchmade and Hogue have their own elaborate knife collection, what can be referred to as a gentlemen’s knife. Some are expensive because of the materials that are used in the handle and some are just expensive to make. Almost always worth the extra expense. Spyderco Matriarch 2 is a wonderful little self-defense knife. This is not a pocket knife to use on every day cutting tasks. The blade is serrated VG-10 Japanese steel with a Reverse “S” shape and is highly aggressive. The blade length is 3.57 inches long and closed it is almost five inches long with a weight of 3.6 ounces. I have a similar model and I feel very save carrying it, but never use it. This knife will cost between $80.00 and $140.00 but worth every penny. If you’d like to go all out take a look at the Civilian. It is bigger and twice as aggressive at the Matriarch and definitely only recommended to carry for protection. Byrd Meadowlark 2 is great in Stainless Steel but is definitely heavier than the lightweight FRN (fiberglass-reinforced nylon) handle version. I love the weight and the feel of the SS. With the combination edge, this is my absolute favorite budget knife. The Chinese made steel blade length is almost three inches and the closed length is four inches. The stainless-steel version weighs in at a hefty 3.75 ounces while the FRN is only 2.4 ounces. They will cost between $35.00 to $40.00 depending on which style you decide on. In the end there is no wrong or right way to picking out a knife. Find something that makes you happy or makes someone else happy and just buy it. Carry with respect and always keep educating yourself. Knives have been a part of my life since I was a little girl and I've always had a great love and respect for them. Now that I'm an adult I have the opportunity to own, give, and carry some pretty amazing knives.